World number two miner Rio Tinto (LON:ASX) and the government of Mongolia will sit down for further tough negotiations over the future of the controversial Oyu Tolgoi copper-gold mine on March 20. The government of the Asian nation, which has a 34% shareholding in Oyu Tolgoi, has been at loggerheads with operator Turquoise Hill Resources (TSX:TRQ), which is controlled by Rio and the owner the remainder of the mine, over development costs, royalties and ownership of the massive project where commercial production is scheduled for June. 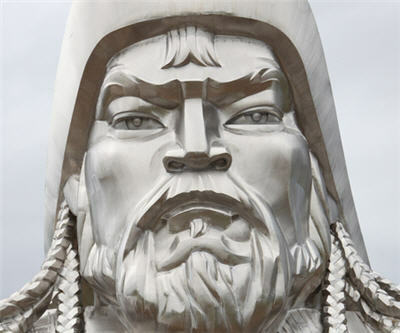 According to a statement by Mongolia’s minister for economic development, Nyamjav Batbayar, on the state-run news agency web site there are six main sticking points, centred on cost overruns, the funding and feasibility study for phase 2 of the mine, the employment of Mongolian workers and contractors and corporate governance, for which it now awaits a "concrete response" from Turquoise Hill. Turquoise Hill has already spent more than $6 billion on the mine in the south Gobi desert, but the mine is now operating under a temporary month-to-month budget from Rio's coffers. Mongolia has accused Rio of working fast and loose with financing for the project before as rhetoric over a bill before the Asian nation's parliament which contains sweeping changes for the mining industry intensifies. Rio also suffered a setback last week after the US raised serious concerns over Oyu Tolgoi's environmental and social impact and decided to abstain from voting on a $4.5 billion debt package being negotiated with the World Bank and other institutions.